Samarra (Iraq) (AFP) - Suicide bombers dressed as members of the Iraqi security forces killed seven people and wounded 12 in an attack on a power plant north of Baghdad on Saturday, officials and a survivor said. 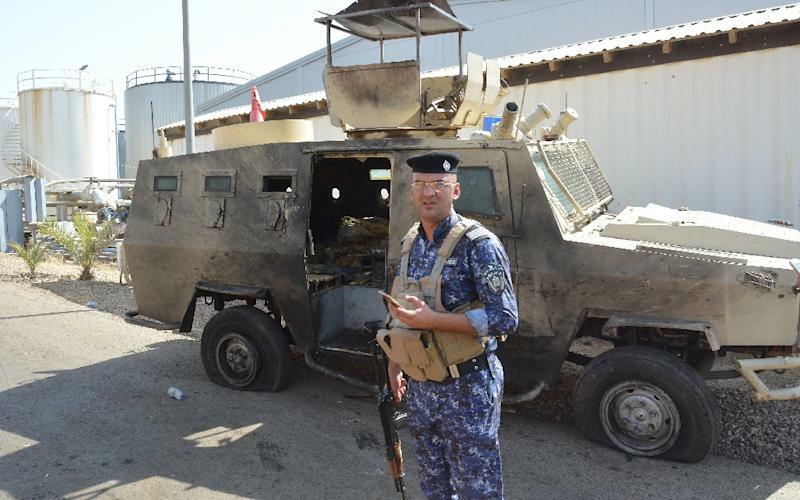 Wearing military uniforms and armed with grenades, three attackers entered the facility in Samarra, about 100 kilometres (62 miles) north of the capital, said General Qassem al-Tamimi, head of a police unit charged with protecting vital installations. A police officer, who spoke on condition of anonymity, said one of the bombers detonated his explosives belt and the two others were shot dead by security reinforcements who rushed to the scene. He said seven people were killed and 12 wounded in the attack. "At 2:00 am we were woken up by shots being fired," Abdel Salam Ahmed, one of the employees who was hit by gunfire in the legs, told AFP from his hospital bed. He recalled running with colleagues away from the shooting. "We ran into one of them (the jihadists). Some of us hid while two others kept running towards the exit, shouting 'we are employees', but they (the attackers) shot them dead," he said. Prefabricated houses where employees were sleeping were destroyed as explosions rang out in the power plant, an AFP reporter said. Several tanker trucks were also damaged and the remains of one of the suicide bombers lay on the ground, the reporter said. The police official said security reinforcements evacuated the employees. The jihadist Islamic State group, which frequently carries out suicide bombings in Iraq, claimed responsibility for the attack. In 2014, IS captured almost a third of Iraqi territory in a lightning offensive. It now holds just two pockets of territory in the country.